Samsung Galaxy Win is Powered with Android 4.1 Jelly Beans and 1.2GHz quad-core Qualcomm Snapdragon processor with Adreno 203 GPU. There is no any type of RAM and Internal Storage available in Samsung Galaxy Win. It also has 4.7 inch screen with WVGA TFT Display. About the camera it has a 5 Megapixel Rear and 3 Megapixel front camera. 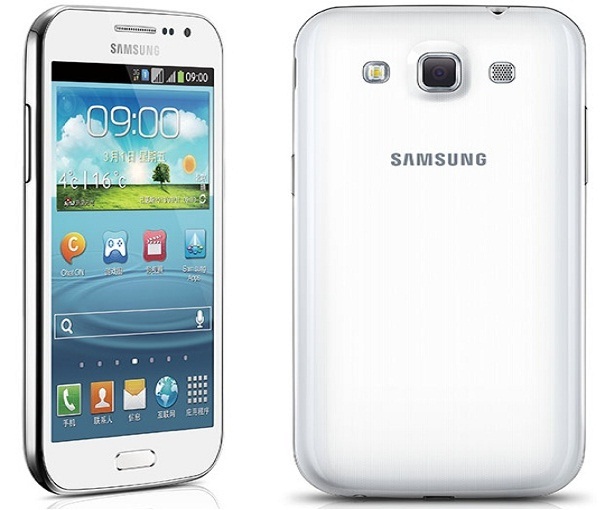 Samsung Galaxy Win has a Dual Sim Smartphone. It also includes GPS, Wi-Fi and Bluetooth 3.0. It is available only in China so we can’t say anything about the World Release. Expected that These mobiles will have cheap prices. I like your publications are always perfect.